Happy Sunday Dudes! 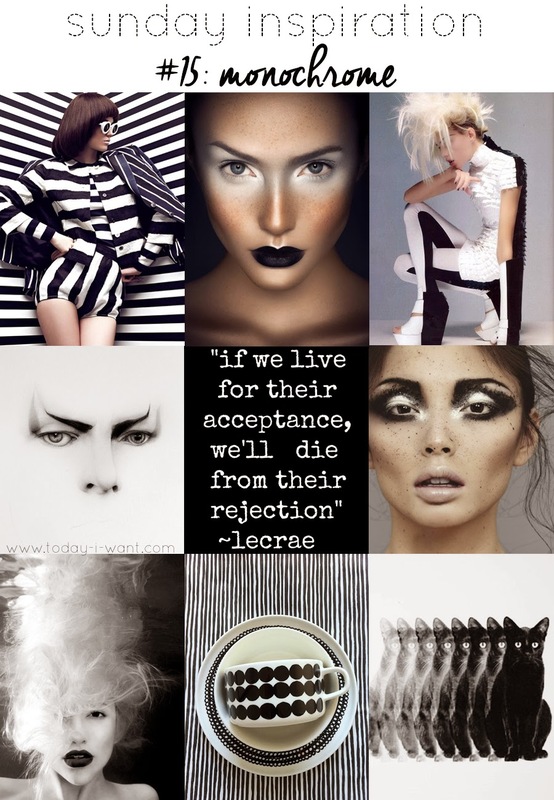 Today's Sunday inspiration is monochrome, which I am super stoked on. Totally reminds me of the 60's, one of my all time favorite decades. What's inspiring you this week? Don't forget to check out what is inspiring my blogger bff Gina this week over at Tulle and Combat Boots!